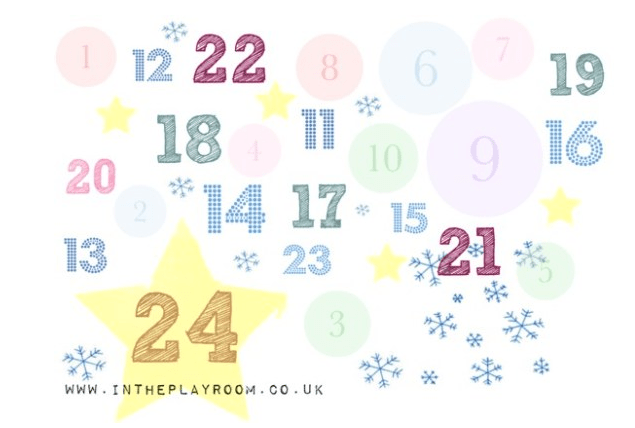 See here for our full list of advent giveaways – why not book mark the page so that you can check back every day! If you missed our Day 1 giveaway for Dino Bite there is still time to enter here. And now… on to today’s prize! If you’re not familiar with tinyme..
Once upon a time, 3 young dads (who happen to have 14 little kids between them and one more on the way) combined a whole bunch of geeky high tech machines, some generous dollops of cuteness, a slightly loopy team of people and mixed them together with the worldwide webbie thingy. The result was amazing… A comprehensive range of affordable, premium quality, custom made products for kids. Created with love and shipped to you in a jiffy with a 100% satisfaction guarantee. Mr R was sent one of their gorgeous wooden name block puzzles to try out and he has been having lots of fun with them. This is a great quality toy and is educational as well as pleasing to the eye, allowing children to work on letter recognition of their names as well as hand eye coordination. The puzzle kept Mr R’s attention for longer than I thought as we made up some games mixing the letters up to make new code names for him and then he would put it back to the proper spelling. 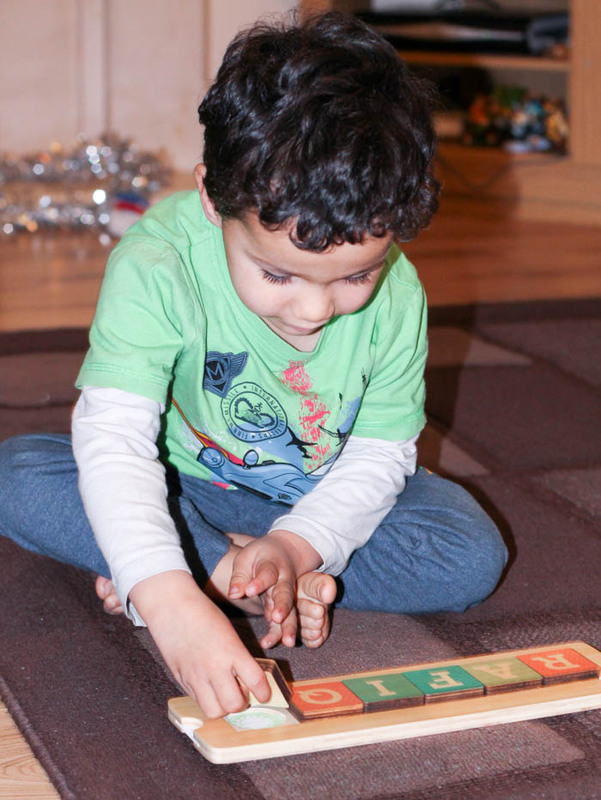 Hopefully playing with the puzzle will give him a good foundation to learning the spelling of his name and getting ready to start writing his name before too long. The wooden name block puzzle would make a great gift as it grows well with the child, being an accessory for their room on the shelf in a baby nursery, to learning to place the pieces as they grow into a toddler, and then start to recognise and learn the letters of their name. 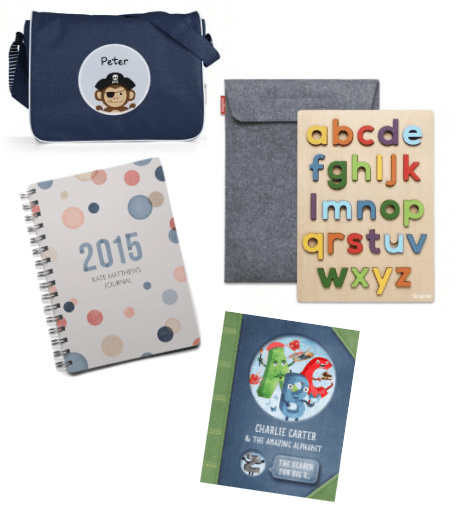 Come back tomorrow for another chance to win, here on the blog with another Rafflecopter giveaway for a new fab prize from Wall Create. And look out for some gorgeous free Christmas printables from tinyme that we’ll be sharing here later on in the month! I like the canvas happy days theme. They’re so cheerful. I like the personalised drink bottles! I think the personalised canvas art is wonderful! My favourite is the pink personalised messenger bag. I love the Name tag packs. can never have enough. I LOVE the personalised backpacing – it would be a great way to stop my little lady getting confused about which bag is hers. Love the Name Blocks Puzzle. Would be lovely as a present for my LO! I like the personalised backpacks the most. LUCY BISHOP recently posted…Christmas Gift Guide For Toddlers 2014 & *GIVEAWAY* WIN Dinosaur Storage Bin from Freckled Frog, worth £33! The wooden puzzles are cool. I love the Rain Cloud height chart – gorgeous! I love the name puzzle. The personalised bag – love it! Rebecca Phillips recently posted…How Far Will You Go to Avoid the Doorknob This Cold & Flu Season? I like the wooden name puzzle.